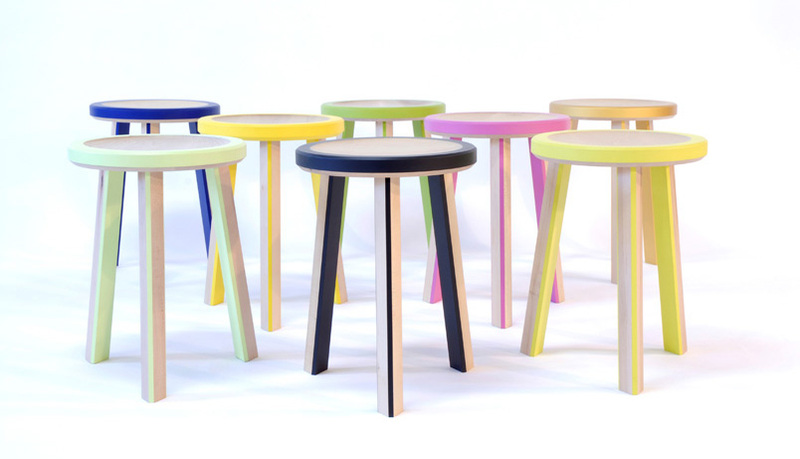 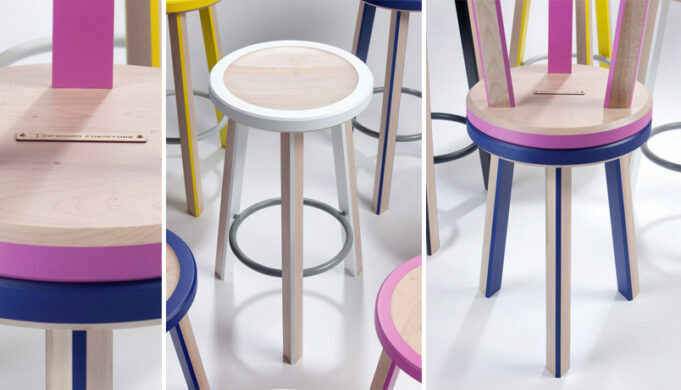 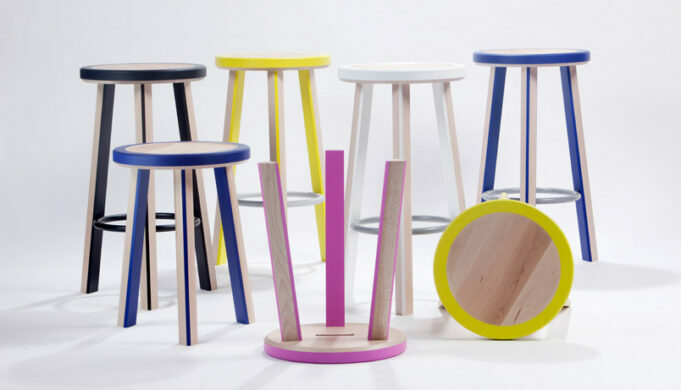 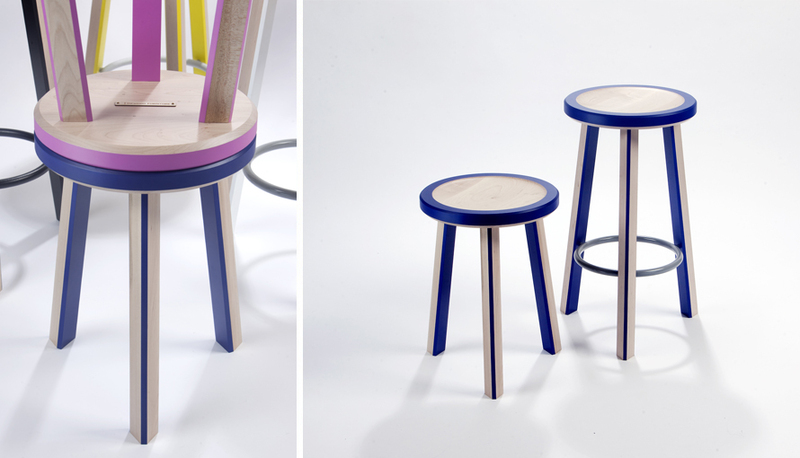 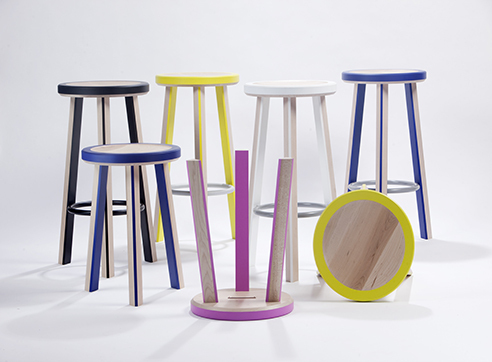 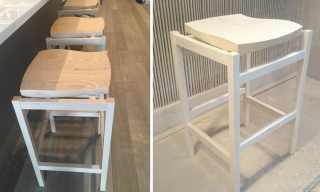 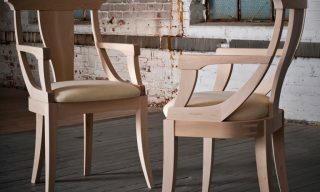 The Trio Stool is built in solid maple and powder coated steel (foot rest). 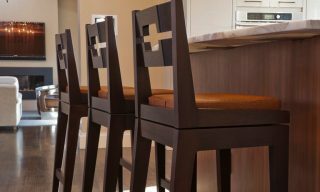 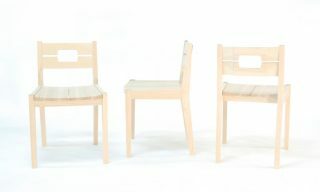 Both playful and comfortable, they are available in 3 sizes – chair, counter, and bar height (not shown), and various colors. 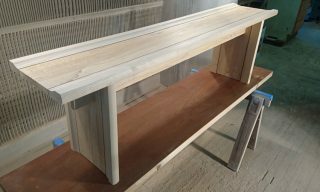 The low stools can also be used as side tables.